The following families have genealogy history eBooks on this page: Aspinwall, Bramhall, Clay, Coler, Conkling, Garling, Hinds, Hord, Jackson, Lamb, Lawrence, Sigourney, Stone, Stone II, Wells, and Wynkoop. Welcome to Bookshelf 5 at Hawkeyes Trading Post! 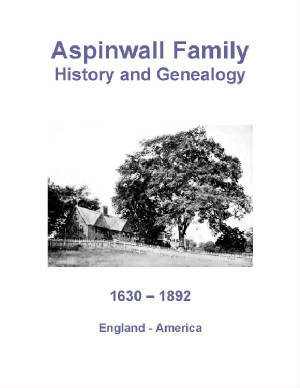 Aspinwall Family History and Genealogy or The Aspinwall Genealogy. PDF eBook English 14.4 MB. 1901. Legend of the family name in ancient England is briefly told with emphasis on the arrival of William Aspinwall to the American Colonies in 1630. Over 260 years of compiled statistics for family vital records range from the years 1630 to 1892. Extraordinary alphabetical index with over 2000 names of descendants! Price $6.95 USD. Bramhall History and Genealogy or Genealogy of the Bramhall Family. PDF eBook English 3.22 MB. 1906. 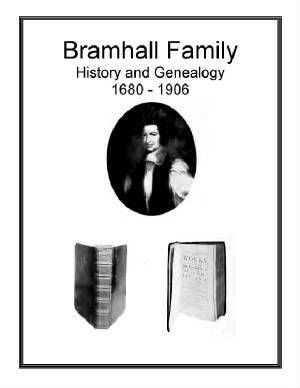 Excellent documentation of the Bramhall Family genealogy spanning the years from 1680 to 1906. There are 9 generations with hundreds of Bramhall descendants in this well written account. An outstanding source of Bramhall genealogy! Price $6.95 USD. 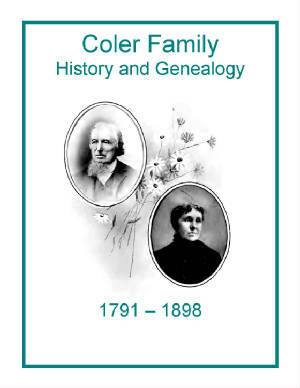 Coler Family History and Genealogy. PDF eBook English 10.7 MB. 1900. Here is written the legend of the family name, and it’s origin over 300 years ago. Documentation of family members spanning the years from 1791 to 1898 are preserved within these pages. There are numerous rare family photographs also contained in this noteworthy publication! A great source of genealogy! Price $6.95 USD. Garling Family History and Genealogy or Genealogy of the Garling Family. PDF eBook English 4.10 MB. 1910. Over 140 years if Garling family descendants are compiled in this noteworthy edition. 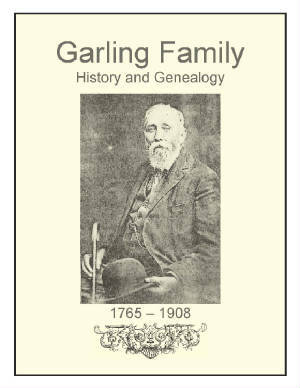 Legend of the Garling family name from its Germanic beginning, along with individual records that span the years from 1765 to 1908 come together in the pages of this edition! Price $6.95 USD. Lawrence Family History and Genealogy. PDF eBook English 10.3 MB Year 1858. The ancestor of the Lawrence family who immigrated to the American colonies came aboard the ship Planter in 1635. This pre-American Civil War publication contains Oath of Allegiance, poetry, intents of marriage from 1664, various legal documents in the appendix confirming identities in land transactions, and a summary of a family reunion held in 1851. Vital dates on ancestors and descendants range from 1618 to 1858. 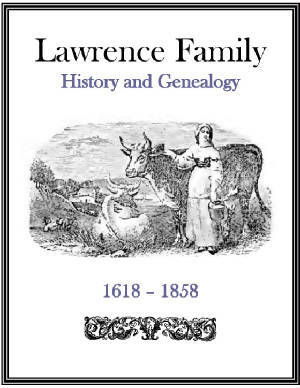 A great source of genealogy for the Lawrence family genealogist! Price $6.95 USD. 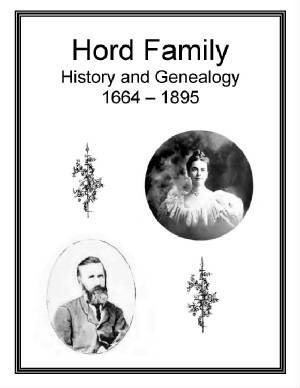 Hord Family History and Genealogy or Genealogy of the Hord Family. PDF eBook English 12.4 MB. 1898. Here you will find the legend of the family name which has a Scandinavian origin around the year 1215. Numerous photographs accompany the alphabetical index of 14 pages and over 1600 listed descendants and family in-laws. 8 generations of compiled family records span the years from 1664 to 1895. An outstanding family reference! Price $6.95 USD. 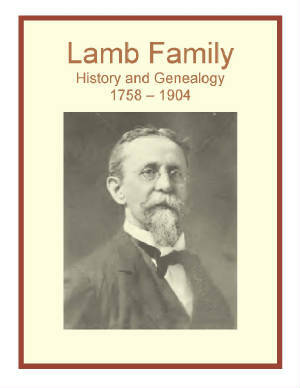 Lamb Family History and Genealogy or Genealogy of Lamb, Rose and others. PDF eBook English 5.81 MB. 1904. 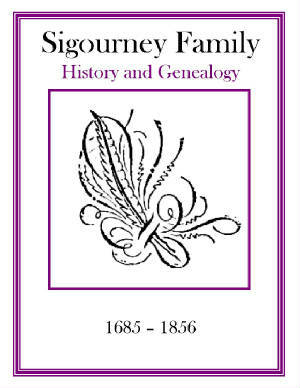 This great source of family lineage includes references for both the paternal and maternal sides of the family line, with 14 pages of indexed names consisting of over 1500 family members! Nearly 150 years of compiled family records extending from 1758 up to 1904! A great resource for genealogy! Price $6.95 USD. 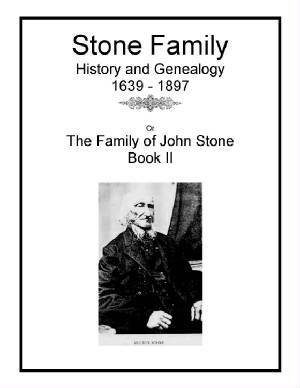 Stone Family History and Genealogy or The Family of John Stone Book II. PDF eBook English 8.18 MB. 1898. Descendents of John, Russell, Bille, Timothy, and Eber Stone span the 7 generations, and over 250 years, of compiled statistical and short biographical information contained in this publication. Many rare family photographs, with an index of over 800 descendant names which span the years from 1639 up to 1897. A source of abundant information for the family genealogist! Price $6.95 USD. 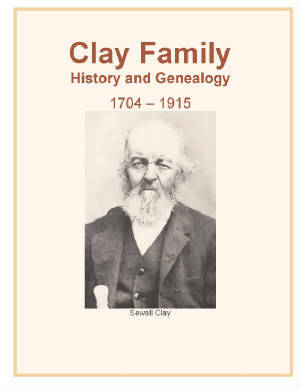 Clay Family History and Genealogy. PDF eBook English 6.24 MB. 1915. Short biographies, letters written in the 1800’s, and 9 generations of Clay family members spanning over 200 years are preserved in this publication! Compiled statistics for family vital records stretching from the year 1704 to 1915 with 43 rare ancestral photographs are also included! Print out the photographs for your own picture frames! Price $6.95 USD. Conkling Family History and Genealogy or The Genealogy of Henry and Mary Conkling. PDF eBook English 8.24 MB. 1907. James Conkling came to the American Colonies with many hopes and dreams. This publication reveals 118 of his descendants, and also includes in-laws of the Conklin family. Numerous rare ancestral photographs and compiled statistics for family vital records dating from the year 1625 up until 1907! Several stories are included documenting adventures taken by family members. 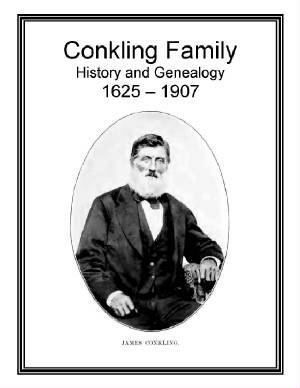 A great reference for Conklin family genealogists! Price $6.95 USD. 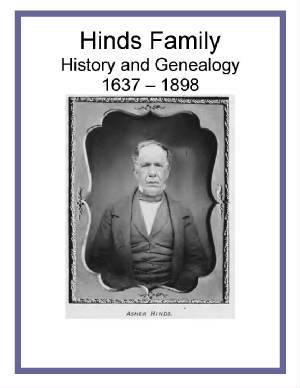 Hinds Family History and Genealogy or History and Genealogy of the Hinds Family. PDF eBook English 21.2 MB. 1899. “Reaching back through the dim vistas of the past” over 40 rare family photographs, 9 generations, and an alphabetical index of over 6,000 descendents with in-laws are compiled in this amazing publication! Over 260 years of birth, marriage, and death dates stretching from 1637 to 1898 are references for the Hinds genealogist! Price $6.95 USD. 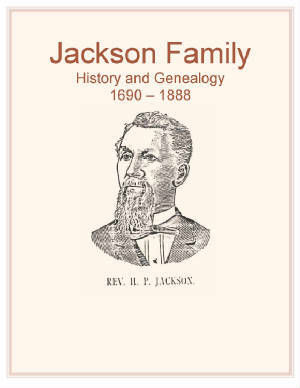 Jackson Family History and Genealogy or The Genealogy of the Jackson Family. PDF eBook English 6.94 MB. 1890. Numerous short biographies of Jackson family descendants are written which cover the years from 1690 through 1888. Also, delightful short stories of daily life for this Anglo-American family are included. Many branches of Jackson forefathers are documented, and the connection with United States President Andrew Jackson “old hickory” is also referenced. Price $6.95 USD. Stone Family History and Genealogy or A Stone Genealogy. PDF eBook English 2.48 MB. 1910. Simon and Gregory Stone, sons of David and Ursula, sailed from Ipswich, Suffolk County, England early in 1635, with their wives and children, aboard the ship “Increase”, with Captain Robert Lea, and landed at Boston in April of 1635. They all settled in Watertown that year. 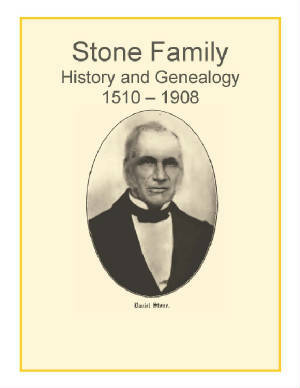 The Stone family legend, and descendents stretch across time from the year 1510 to 1908 with 14 generations compiled in this publication! No stone went unturned for this resource! Price $6.95 USD. 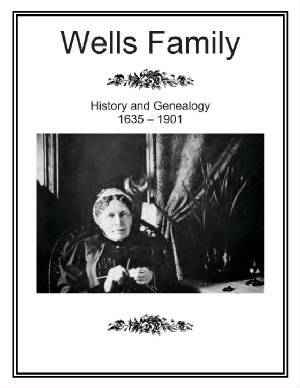 Wells Family History and Genealogy or Genealogy of the Wells Family. PDF eBook English 7.81 MB. 1903. Over 260 years of lineage is combined in this extraordinary reference along with many pictures, an alphabetical index of over 900 descendants, and 34 additional in-law family households! Documentation extends from 1635 to 1901 for the kindred of the Wells family! A great source of genealogy! Price $6.95 USD. 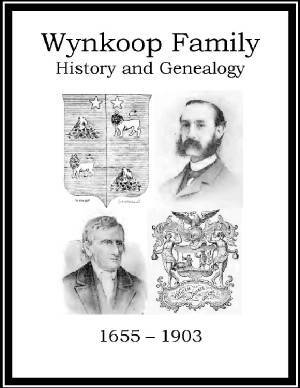 Wynkoop Family History and Genealogy or Wynkoop Genealogy in the USA. PDF eBook English 14.2 MB 1904. A compelling history of a great colonial American family with biographies, family stories, and ancestral etchings. Family legends include the capture of a Spanish Treasure vessel off the Cuban coast in 1628, and the family name WijnKooper, which means a wine buyer or vintner. Many generations and hundreds of descendants are listed. A treasure of genealogy for any Wynkoop family member! Price $6.95 USD.